When I reorganized some bookshelves I found an old copy of Annie Dillard’s The Writing Life. A former boss had given it to me, and had even inscribed it. Always looking for an excuse to stop working, I started paging through the book and was struck by how applicable Dillard’s comments on writing were to quilting. She talks about how hard it is to jettison work you’ve labored hard over even though it’s a failure. How reluctant you are to abandon it because you know how much work was involved. She says writing is life “at its most free…because you select your materials, invent your task, and pace yourself.” All this sounds like the frustrations and joys of quilting to me – at least quilting when you’re making it up as you go. 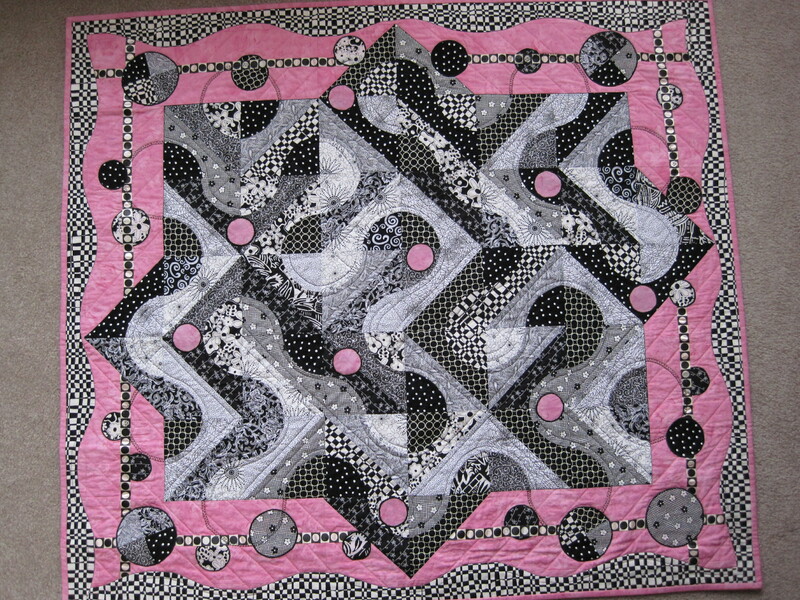 Here’s just one of the quilts I refused to call DOA even when I should have. I kept adding things, thinking just one more bit would make the difference. Well, it never turned the corner. At least I really love the backing material. I like to think of it as my kitchen sink quilt.